Does Beck fight for the users? 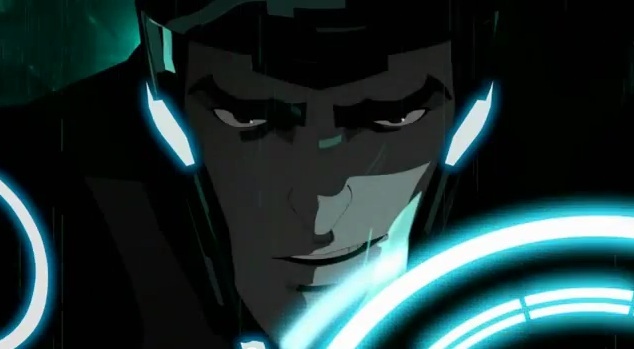 Beck joined Tron's revolution to avenge bodhi and save his friends from suffering the same fate, but so far we haven't seen what he think's about Isos or if he thinks Flynn is doing what is right as the creator ( The only programs who apear to think so are Quorra and Tron ) do you think that maybe there could be a conflict between Beck and Tron because while Tron fights for the users Beck only fights for his friends? RE: Does Beck fight for the users? I wouldn't see why Beck wouldn't adopt Tron's "fight for the Users" mentality, although it probably wouldn't be as strong as Tron's, but still. Seeing as Flynn's tucked tail between his legs and hid in the Outlands (ok, he was sheltering Quorra, but...). the User has left his Programs to the dubious mercy of his batshit crazy admin. Given this, why would Beck fight for them? I think Beck is fighting to make the Grid free for Programs. I don't think he has feelings for or against the Users. Or at least, if he has feelings about Users, they don't seem to affect how he fights. I don't think it's a 'if you fight against Clu, you're fighting for the Users' sort of choice. Beck is fighting to defeat Clu - whether Flynn benefits or not is irrelevant. Am I making any sense at all? DawnStar Wrote:Yeah, I get that. However, I doubt Beck has even heard of the users. No one in the series so far has even mentioned them. Beck mentioned Flynn in Isolated ("Flynn himself couldn't fix this mess"), so did Perl when she was talking about ENCOM-786 in Renegade pt2.